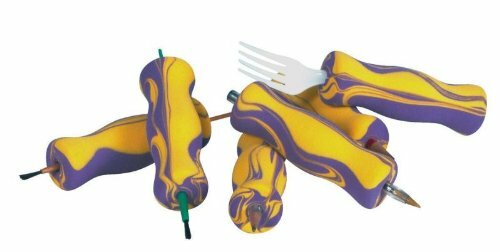 Abilitations set of 12 grips helps improve fine motor skills for holding objects. 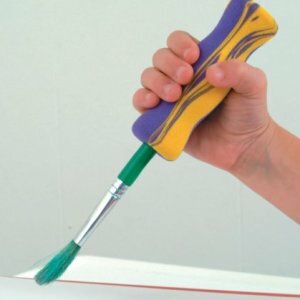 The grip is shaped to enhance grasp and control of writing instruments, eating utensils, and paint brushes, and has a color swirl design for visual appeal. 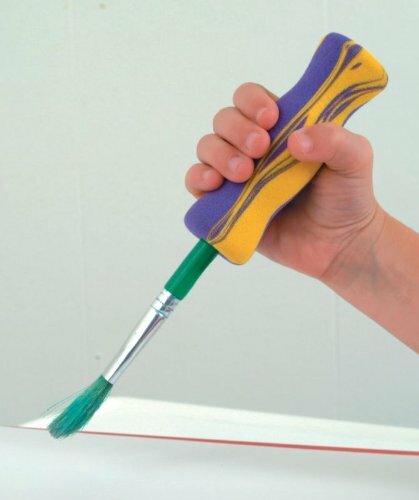 The grip is made of soft foam for durability and comfort, and measures approximately 4.0â€ (L) and 1.0â€ in diameter. (L is length, the horizontal distance from left to right.) 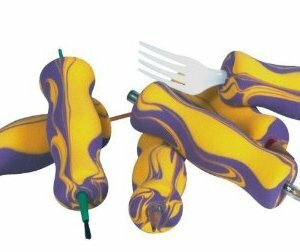 The set may be suitable for children with motor difficulty or a weak grip, and for special needs, early childhood, and elementary learning environments. The product contains latex.